When it comes time to replace your commercial HVAC system at your Orlando business, you want to be sure you make the right choice. Not only in air conditioning and heating equipment, but the company chosen to install it as well; HVAC systems are only as good as the company who installs them. One Stop Cooling and Heating has over 25 years of experience in planning, installing and retro-fitting commercial HVAC systems to meet the specific needs of each of our customers. Whether you have a restaurant, medical offices or industrial warehouse facility, maintaining a comfortable temperature is important. When you need a replacement and do not want your business to be disrupted, call us to replace your commercial HVAC system with a higher efficiency system. 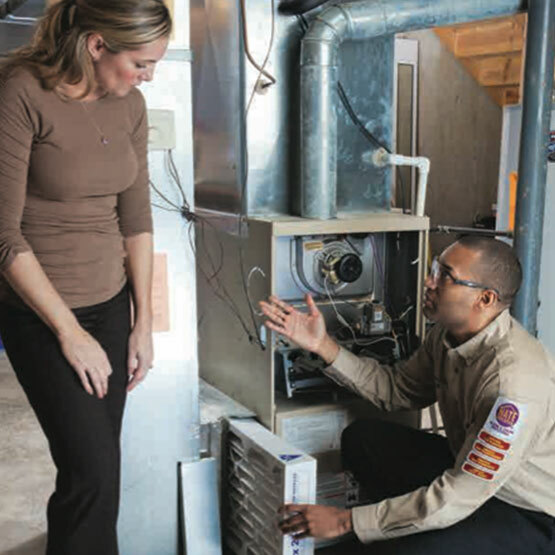 Our skilled and trained technicians have the experience and knowledge that is necessary to get the right sized system and features installed for your business heating and cooling needs. Your air conditioning or furnace replacement will enable your business to save money on energy bills and get the most efficient and affordable system installed. The expert AC and heating service team at One Stop Cooling and Heating will provide you with all of the detailed information and evaluations to maximize your heating and cooling experience while providing affordable service. If your commercial HVAC system is older than 10 years, compare the energy efficiency of a newer system and you will see the difference. The newer HVAC systems available today are much more energy efficient, which makes them more affordable because of the continued savings on your monthly energy bills. When you are ready for a commercial air conditioning and furnace replacement, contact the experts at One Stop Cooling and Heating. Our trustworthy and professional technicians have the commercial HVAC experience that is necessary to create superior, long-lasting results. Call or email us today for your free commercial HVAC replacement consultation in any of our service areas, Orange, Osceola, Seminole, Volusia, Sumter, Marion, Lake, Manatee, Hillsborough, Hernando, Pasco Counties.